Lighting updates are a reasonably inexpensive improvements that can create an amazing difference in the overall appearance of your home. As a home stager I’m always looking at existing lighting fixtures to see if new fixtures should be considered to update the home for sale. When I’m wearing my interior decorating hat this is almost always an area that requires updating to bring a fresh new look and style to a home. Local hardware stores are terrific sources for great lighting options that won’t break the bank. Consider updating pendant lighting over an island or the dining table overhead fixture. Under cabinet lighting in the kitchen is a dramatic possibility that costs very little to achieve. A home stager can help you pick out lighting, and some can even coordinate the installation with an electrician. 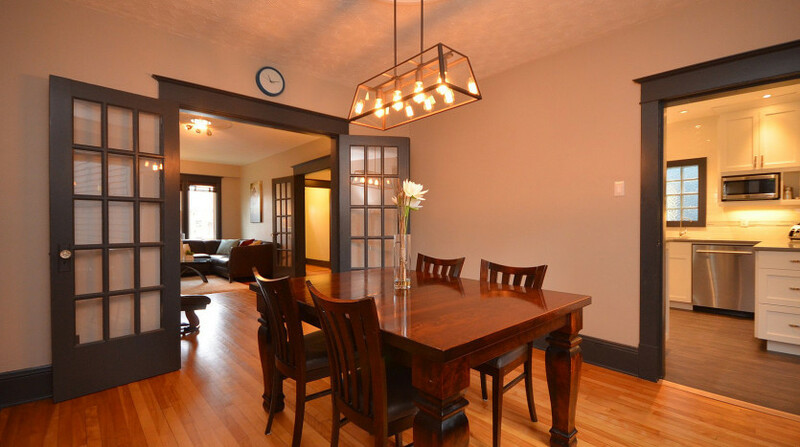 Here’s an example of a great light that was chosen for a client with an older home in the south end of Halifax. It really fit the style of the home adding elegance. And here is a photo from a vacant staging project where all the lighting was updated by the client shortly before listing. Wow…love the lighting! Need some help – contact me for a home staging consultation or decorating consultation. I’m here to help!